The ballad I chose certainly is out there, and remains a favourite ever since those early days more than 30 years ago. My stepdad wasn’t convinced I’d like Martin Carthy straight away, thinking his singing and playing rather an acquired taste for a Duran Duran aficionado, but I loved him immediately. My stepdad played me his own favourite, and it was this ballad, from Carthy’s album Shearwater, 1972, that I chose to retell for the Ballad Tales book: The Famous Flower of Serving Men. They robbed my bower they slew my knight. They go on to kill her baby, steal everything and wreck the place, and she, in fear and grief, cuts off her hair, puts on men’s clothes and reappears as Sweet William. William goes to court, becomes the eponymous Serving Man to the king – a Chamberlain, the man who looks after the king’s household – and the king, well, he’s rather disturbed by his feelings to the young man. One day he goes off riding in the forest, and as you do in ballads, gets separated from his friends chasing a white hind and has a magickal hexperience with the spirit of the dead knight in the form of a dove, which causes the king to race home, kiss the boy/girl and then catch her mother and have her burnt at the stake… For me, it was the otherworldy white hind and the white dove that really made the song. “Pay me my wages and I will go free. as a serving man to become a queen. I loved that she doesn’t go for the so-called fairy tale ending, but rather rejects the king and goes off to make her living another way. It seemed plausible to me that a woman who’s lived had been so blighted wouldn’t immediately marry the first man to look at her, even if he was the king. 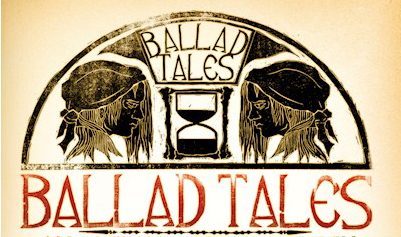 Now, back in those days there was no internet to access, but I got out from the library Child’s Ballads volumes 1 and found out lots of stuff – but not about this ballad, which is in volume 2, which my library didn’t have. So it was some years later when I discovered that the things that I liked best of all in the ballad were, in fact, made up! In the ballad the girl is simply overheard singing about her background (an elementary mistake!) by a ‘good old man’ and she does marry the king! What a con, what a cheat! Although Foster is actually following the singing of an English singer, Albert Doe of Bartley in Hampshire, recorded in December 1908. When reworking the ballad for the 21st century I decided, sod it, that I would keep in those 20th century alterations. 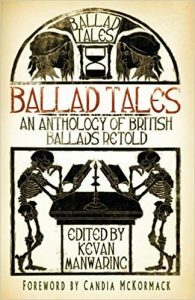 The ballad first appears in Percy’s Reliques of Ancient Poetry, 1765 as ‘The Lady turned Serving-Man’[i] – to which Percy admits ‘improvements’ have been made (‘excerable’, says Child) – and in this version, it doesn’t appear that the mother did it, but unspecified ‘foes’. This then is suggestive of a more familiar and realistic story of border raiding and feuding – the woman only ‘scant with life escap’d away’. This is then unpacked further by Walter Scott in his Minstrelsy of the Scottish Border, 1803[ii]. Scott had another ballad, ‘The Border Widow’s Lament’, in his collection, which he describes as a ‘fragment’. And happ’d him with the sod sae green. It can be tricky, trying to keep all of the balls in the air. 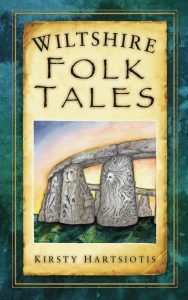 My two blogs, Fire Springs Folk Tales and What Would William Morris Say? have been very quiet of recent months. There are only so many hours in the day, after all, and I was working on a new book – Suffolk Ghost Tales, out later this year, co-authored with Cherry Wilkinson – and various other projects (a course to plan, storytelling shows to perform, an exhibition to put on) all converged on the same time and so I was stuck! So, I’ve decided to change tack and combine my two blogs into one – this one. 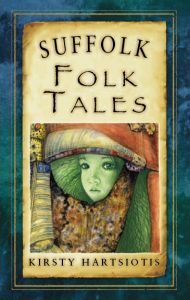 It looks much the same as the Fire Springs Folk Tales blog – and features one of Katherine Soutar’s wonderful cover designs as the header image, the green girl from Suffolk Folk Tales. 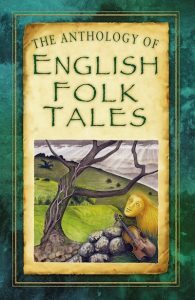 It contains all the content from both blogs, so you can still find all the folk tale, storytelling and William Morris related goodies in here, but all together. I hope you enjoy the new, updated blog! 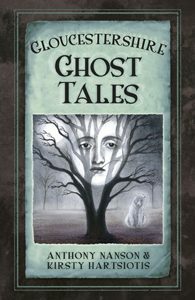 Those of you familiar with me will see that I’ve given it a title similar to that of my website: Stories from the Palace of Memory. Well, why? There’s a story about that, of course. Once, a poet called Simonides was declaiming a praise-poem to his host, Scopas of Thessaly, and, as was the custom, he praised a couple of gods as well, Castor and Pollux, the gods of boxing, at which Scopas excelled. Scopas, however, was offended, and when it came time to pay Simonides his fee, he declared that he would give the poet half – and Simonides should ask the gods for the rest! A little while after, Simonides was asked to go outside, as there were two young men there asking for him. Simonides went, but there was no one there. As he stood there scratching his head, there was a rumbling in the earth and suddenly an earthquake struck, shaking the hall to the ground and crushing all inside. 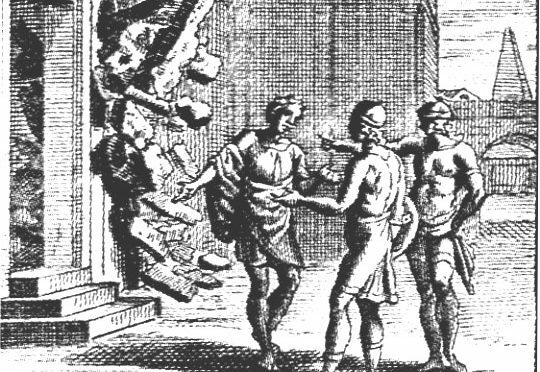 Simonides realised that the two young men must have been Castor and Pollux, and he was grateful, but his role wasn’t over yet. When the rescuers came to clear away the rubble, none of the dinner guests was recognisable, but the poet had memorised everyone’s position in the hall and was thus able to identify who was who. Simonides, evidently a practical chap, realised that this was a good training for the memory. He developed a memory training exercise from this, using visual locuses as an aid to memory. Poets and orators – and storytellers – have used it to this day. To me, the past is a palace of wonders, elusive, untrustworthy, perhaps, no matter how objective we try to me … like memory, unreliable, but ultimately nourishing and there to be cherished and preserved as best our fallible human nature can allow. Palace of Memory is by Kirsty Hartsiotis. All posts and content copyright Kirsty Hartsiotis unless otherwise stated. 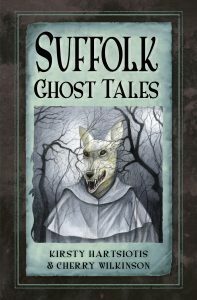 Header image: Suffolk Folk Tales (detail) copyright Katherine Soutar.